After you purchased a new iPod device, you may want to transfer your favorite apps from the old iPod device to the new one. 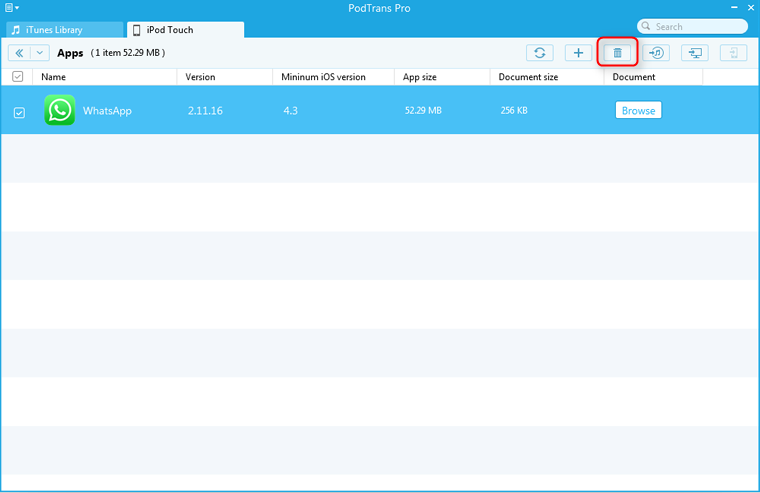 In this way, PodTrans Pro allows you to transfer your apps to iTunes, computer and another iPod. How to Export Apps to iTunes & Computer? Please refer to the following steps to transfer apps to computer, iTunes Library. Step 1: Open PodTrans Pro and connect your iPod device to computer. Then, choose Apps icon to go on. Step 2: Select one or more target apps to export to iTunes & computer. It is also available to add and delete apps. You can view the detailed information of the apps by clicking "Browse" button on the right. How to Install and Uninstall App from iPod Device? 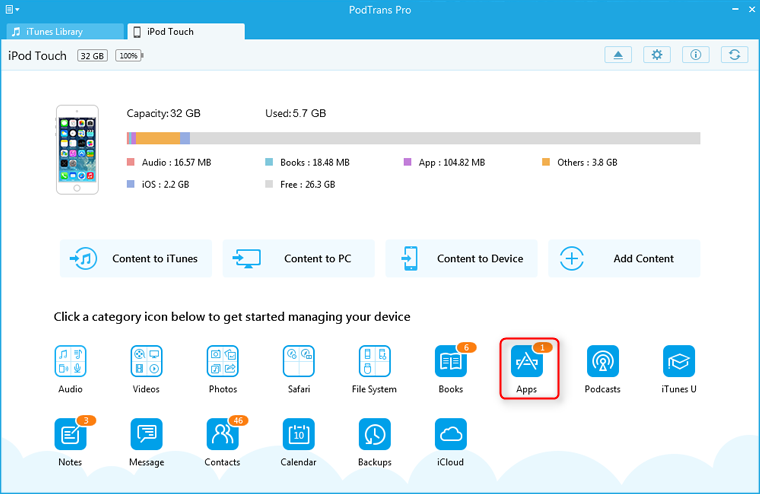 To install one or more apps to iPod device, please follow up those steps: connect at least two iPod devices > choose Apps > click + button to add the .ipa and .pxl files to the target iPod device. To uninstall one or more apps from iPod device, please go with those steps: connect your iPod device > select Apps > pick one or more apps to click.